MMFF 2012's latest box-office tally by the festival committee shows that "Sisterakas" is still the top grosser (and will stay as such) among the 8 official entries. 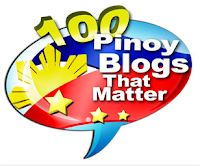 As of 8th day (January 1, 2013), "Sisterakas" has P231.9-million gross earnings in the box office. And probably as of yesterday, Jan. 2, it already grossed higher than the current top-grossing MMFF entry ever, "Engteng Ng Ina Mo", which earned P237.9M after 14 days in theaters during the 2011 Metro Manila Film Festival. A gross earning between P300M and P350M or even more is highly possible for this Star Cinema and Viva Films co-produced movie. And contrary to some online reports, the Angel Locsin-Dingdong Dantes-Angelica Panganiban movie "One More Try" under Star Cinema is still the 3rd top grosser with P91.3-million, but only P13.2-million shy of surpassing the 2nd top-grosser "Si Agimat, Si Enteng Kabisote At Si Ako", which now has an 8-day total of P104.5-million. 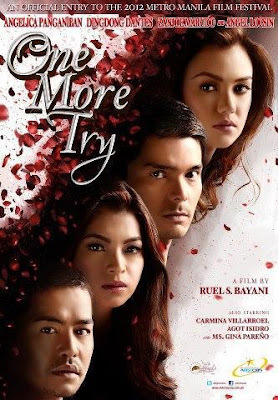 However, being the 2nd top-grosser is still a possibility for "One More Try" because it was able to earn higher than the Vic Sotto-Bong Revilla-Judy Ann Santos movie within its run from December 28 until January 1. Being named as the Best Festival Picture during the MMFF 2012 Awards Night held last December 27 definitely contributed to that.